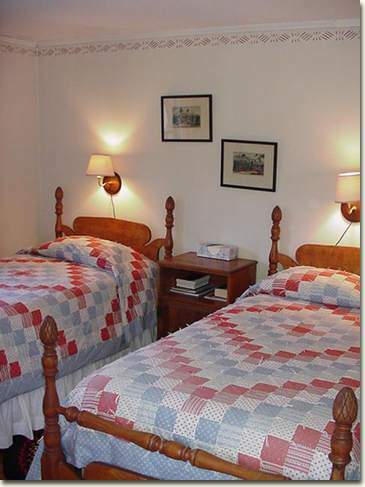 This room features two single antique "pineapple" beds (which can be joined to make a king sized bed). This is a great room for the kids with Mom and Dad in the room next door. 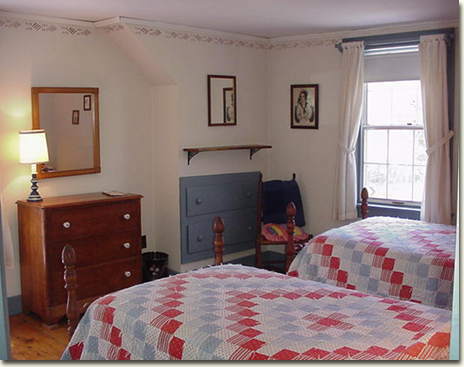 This room has antique wide pine floor boards and braided rugs.